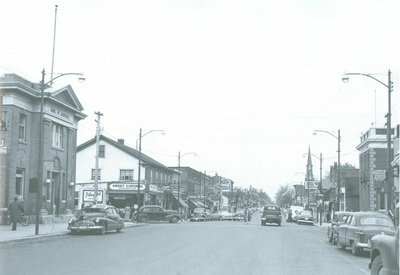 Before Oakville Place mall and other larger scale shopping centers came to Oakville, the shopping district was centered around Colborne Street, now called Lakeshore Road. In earlier times, shops tended to specialize. 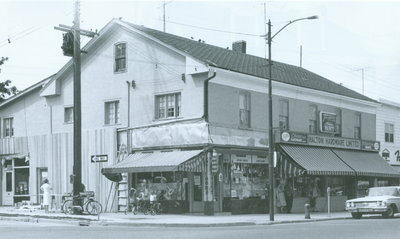 Buckle's Meat Market, Turner's Butcher Shop, Palumbo's Fruit & Vegetables Store, Bill Hill's General Store and Hewson's General Store were just a few of the shops that could be found on Colborne Street in the early 1900s. 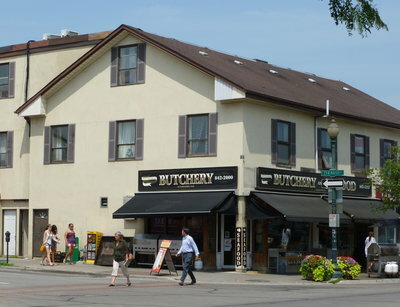 While competition may be the key to success for many businesses, cooperation has been vital in the development of today's downtown Oakville. 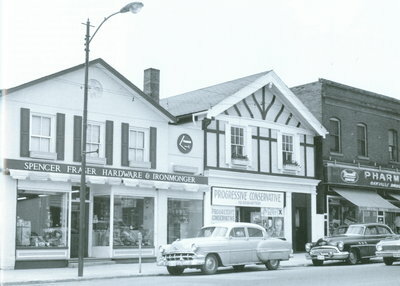 Under the guidance of the Business Improvement Area (BIA) and Town Council, downtown merchants and businessmen have worked together to ensure that downtown Oakville retains its historical flavour and tradition of personal service. 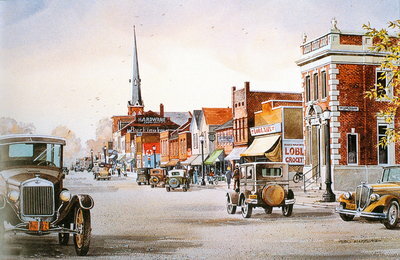 They have developed a streetscape for downtown Oakville that reflects the appearance of the area in the early 1900s. Their efforts have helped create a relaxed atmosphere in downtown Oakville where shoppers are reminded of an era well removed from the hustle and bustle of modern-day living. "A lot of people simply enjoy spending an afternoon just wandering around downtown Oakville even if they're not seriously looking for anything," says Julie Jelinek, manager of the downtown BIA. 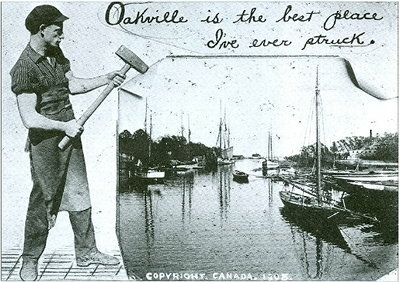 One reason why much of downtown Oakville has remained relatively unchanged through the years is because many of the store owners have remained the same. Today, Lakeshore Road is home to some brand new shops, businesses and services that cater to the people of Oakville and provide an inviting shopping experience for tourists. Elina's Hat Boutique, Abozzo Gallery, The Bronze Frog Gallery, The Medicine Shoppe, Flowers by the Dozen, Emerge Fitness Studio, The Candy Cupboard, COBS Bread, Just an Olde Fashioned Butchery Inc., and the Green Bean Roasting Co. are just a few of the specialty shops located in downtown Oakville. There's also Acorn Card Shoppe, Ten Thousand Villages and Bee Hive Hair Studio. Cafe Galleria, Paradiso, Oliver's Restaurant and Ristorante Julia are just some of the establishments providing a memorable and fine dining experience in downtown Oakville. And for the ladies, here are just some of the clothing and accessories boutiques that downtown Oakville has to offer: Boa, Fuel Clothing Station Ltd., Want Boutique, Mendocino Clothing Company and Posh Shoppe. 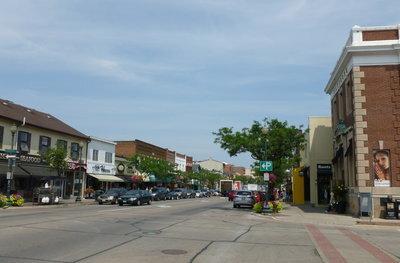 Whatever one's fancy, one is sure to find just what they are looking for in downtown Oakville! Even with the numerous shops, boutiques and restaurants filled with eager shoppers and hungry guests, it is hard to feel rushed by the ambience and atmosphere of downtown Oakville. Though the downtown streets are often occupied by a steady stream of people, the quaint shops, beautiful gardens and proximity to the waterfront create an air of relaxation throughout the downtown. The Town Square at the corner of George Street and Lakeshore Road is a wonderful place to sit and people-watch and enjoy a specialty coffee or cool drink on a hot summer afternoon. Aside from all of the lovely shopping and dining experiences to be had downtown, there is also ample opportunity for a cultural, educational or arts experience. With multiple art galleries to peruse, paintings to admire and sculptures to consider, one gains an appreciation for the talent of local artists and the heavy presence of the arts scene in Oakville. If one is in the mood for a dramatic presentation, theatrical play or musical performance, a visit to the Oakville Center for the Performing Arts at Lakeshore and Navy Streets is sure to delight. And while there, it is only a few short steps to the Central Branch of the Oakville Public Library where one can catch up on some reading or surf the internet. Exploring the various delights of Oakville's downtown provides visitors with a well-rounded cultural experience. A central part of Oakville life, the charm of Oakville's unique downtown core has truly become one of the town's most appealing and admired features. *Photos taken from The Hamilton Spectator.